What a gameround… how crazy was Group D? Costa Rica are through to the knockout stage with a game to spare, whilst England, along with either Italy or Uruguay, will head straight home after playing just 3 matches. A huge well done to all our FiT Prize winners. T. Weidner is our GR2 World Champion, very well played. 104 points was a massive score. 4 transfers were used to bring in Messi, Benzema, Muller and the disappointing Costa. Captain Robben and 3 Belgian defenders did the rest. We will be in touch soon to sort out your £250 Amazon Voucher. For me, Chile, France and Costa Rica have been the stand out teams thus far. Argentina, Belgium, Colombia and the Netherlands have also all scored maximum points, but none have played brilliantly in both of their group games, with Colombia and the Netherlands struggling a little in the 2nd round. Argentina and Belgium haven’t really impressed me at all, but when you have Messi and Hazard, a moment of magic can easily make up for a poor team performance. France looked to have the easiest group on paper, but credit to them, they haven’t taken anything for granted, and they’ve been ruthless – scoring 8 goals in just 2 games. Their final group game vs Ecuador should be a cracker, with Enner Valenica in great form and Sakho potentially out, they will need to stay focused. Chile face the Netherlands to decide who tops the group. This should be an awesome encounter. RvP misses out through suspension, so Chile will really fancy their chances. Their performance vs Australia was electrifying, and then they made the World Champions look ordinary. Confidence is sky high. With the winner of this group potentially avoiding Brazil in the knockouts, this is probably the most important match of the gameround. Then we have the mighty Costa Rica, who’d have thought it? They exposed Uruguay’s weaknesses and some thought it was a bit of a fluke. They then faced off against one the most disciplined European teams and once again, they exposed some more. They may have already qualified, but they haven’t topped the group, so don’t expect them to give England an easy time of it on Tuesday. Individually, there were some top notch performances from Robben, Benzema, Enner Valencia, and James Rodriguez. Robben has had the most attempts on goal in the competition so far, and with RvP out, I expect him to be signed up by thousands, as soon as the new transfers arrive later today. Benzema tops the assist charts, and is also the joint top FiT points scorer – even with him missing a penalty. One player that should be worth your consideration is Alexis Sanchez – 2 assists, 1 goal, and if the Netherlands defend like they did against Australia, he could be in for a good round. We’ve read and heard enough already, so I won’t bore you with any more negative England talk. FiT is a welcome distraction for us England supporters, and there will be plenty of time to dissect their World Cup performance after the tournament has ended. All I will say, is it would be nice to see the likes of Shaw, Barkley, Forster, Lallana and the Ox, given some proper gametime in the final group game. If there’s anything worse than being English right now, it’s being Spanish. We’re used to failure, they’re not. 2 flat, uninspiring performances, and Spain will be on the way home after their final group game against Australia. Again, I hope some of the underused players get a chance – I’m sure the likes of Cazorla, Mata, Fabregas and Torres (joking), are more than capable of leading them to victory and salvaging a little pride. This following data is collated by us here at FiT, we use the most reliable sources we can for this information, but we cannot guarantee it will be 100% accurate as sometimes countries and managers don’t give accurate information about their players. Your GR3 transfers will be with you at approximately 11.30am today. Here’s our FiT tip for using your transfers – try and wait for the team line-ups before making your GR3 transfers. Some teams have already qualified, and with teams playing their 3rd game in 10 days and due to the hot conditions, we may see a lot of squad rotation. 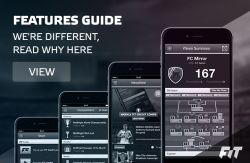 After gameround 3 you will receive unlimited transfers. This starts start at 11am on Friday 27th June, and will last until 4.50pm on Saturday 28th June. You will then receive your gameround 4 transfers. 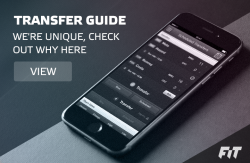 The PlayerDAQ will be frozen during the unlimited transfer period. Best of luck in round 3.